Everyone likes to believe that their gaming prowess is impressive–the countless alien invaders we’ve annihilated, the military strategies we’ve partaken in, the monsters and mutants we’ve dismembered; they all lead us to think that we’re doing quite well. However, it’s rare that a game comes along with the capabilities of genuinely pushing us to our limits. Death’s Gambit is prepared to fill that void. Death’s Gambit is a 2D RPG developed by White Rabbit which sports a gorgeous retro aesthetic. You play as Sorun, a fallen soldier resurrected by Death as an immortal being in exchange for the signing of a blood contract. Once returned to life you begin to wander through a beautiful medieval setting which feels surprisingly peaceful. As you travel deeper into its midst, you soon realize that this aura of tranquility is short lived. Once you stray from the beaten path, you encounter all manners of enemies. Death’s Gambit is not a simple hack and slash affair. Instead, it’s closer to being something of a two-dimensional Dark Souls. Each time you are struck by an enemy attack you take a massive amount of damage, meaning that you must have your wits about you at all times. Furthermore, the game runs on three different power gauges; two of which are traditional and familiar representing Sorun’s health and “soul energy” which allows him to cast spells. The third, however, is a stamina bar. Almost every action you perform will cost a set amount of stamina. Whether it be attacking foes, defending yourself with your shield, dodging, or even jumping; stamina management should be the player’s utmost priority while engaging in battle. If it depletes at a critical moment, your health bar is sure to follow suit. Although there is a vast and expansive world to explore, taking on regular enemies along your travels serves as little more than a break in the action between bosses and a chance to gather materials. Death’s Gambit’s many bosses are the stars of the show throughout the entire game. Although taking them on can be a grueling experience which will test your mettle, the design of some of these fantastic creatures are just awe-inspiring. Early in the game, you stumble upon the Owl King; a twisted, twitching monstrosity with a mouthful of jagged teeth embedded in its chest. Further on you get to witness some of the game’s real beauties. Cusith, for example, is an enormous horse-like creature which dwarfs Sorun. It is plated with concrete amour and breaths bolts of lightning down on those who oppose it. Awakening this beast leads to an epic battle as it slowly advances towards you sporting a monumental amount of HP for you to power through. Other bosses can be just as captivating, although not in the same majestic sense as Cusith. The Forgotten Gaian is another gargantuan foe capable of crushing Sorun underfoot. This rock knight towers overhead sporting a sword that is bigger than most of the buildings you’ll see throughout the game. Its slow, deliberate movements make its attacks easy to dodge, but at the cost of your patience as you chip away at its enormous health bar. This ancient creature’s age is evident through the plants that have taken root across its body giving it a real sense of the duration that this immortal has been on the planet. Luckily, Death’s Gambit supplies the tools to combat even the largest of foes. Before setting out on your journey, you make the choice of which character class you’d like to play as. There are seven different variations, each with their own set of pros and cons, and each one appealing to a different style of player. The Soldier class builds soul energy from blocking, while the short ranged Assassin is rewarded for dodging. The Blood Knight can restore portions of health as he deals damage and the scythe-wielding Acolyte of Death gains benefits from killing his opponents. To top it off, equipping the correct selection of weapons, magic, and items can grant you a fantastic stat boost which opens up new combat opportunities. Some magic will deal damage while adding a timed boost to one of your attributes. When worked into the battle, this can see the statistics stacking one on top of another making Sorun a temporary wrecking ball. No matter which way you break it down though, what Death’s Gambit is really about is a struggle for survival. The game is brutally unforgiving and takes great pride in this fact. Attacks from regular enemies deal a great deal of damage. Whether you’re battling archers armed with explosive arrows, spell-casting priests or the hammer-wielding canine creatures situated in the snowy hills of Obsidian Vale you can guarantee that they’ll knock chunks off your health bar if they hit their target. Where the bosses are concerned, this is even more truthful. The Bulwark found at the gates of Aldwynn is a giant suit of armor fueled by rage and armed with a long sword with an outstanding reach. He’ll call in reinforcements as he swings his blade quickly slicing your health bar to shreds. Each blow is enough to make you rethink your entire strategy. Due to the often overbearing nature of the game, you rarely feel like you ever indeed have the upper hand. The sheer magnitude of damage taken makes each step a cautious affair and each boss a challenging undertaking. When entering a boss battle, you’ll be greeted with a death counter to remind you of how many times you’ve previously fallen to this particular enemy. Unlike many other titles, you can’t cancel one move into another, so instead once you press an action button, you must commit to that action. This means that you must be confident that your attack will land or else you’ll find yourself on the business end of another death screen. Death’s Gambit loves to discuss the philosophy of immortality and bring the concept of death to the forefront of its storytelling. Revisiting bosses that have killed you in the past opens up new dialogue sections as they praise your bravery while simultaneously mocking your foolishness for returning. Characters throughout the game discuss how your lack of mortality could make you a lesser warrior as you barge into fight after fight without ever having to worry about making it out alive. There is even a section that will allow you to reach higher ground to collect rare items by traversing a pile of your own corpses. The more times you’ve died, the higher the pile! The game’s backstory which looks into Sorun’s childhood and his relationship with his mother is also played out in between lives. Death’s Gambit is a fantastically crafted game; the controls are tight, the bosses are memorable, and the graphics are great. However, the unrelenting difficulty makes it a tedious and sometimes painful affair. It’s brutal challenge often feels like it’s more of a test of the player’s endurance and perseverance limits than it does supply an enjoyable experience. Each sitting is a grueling endeavor which can, unfortunately, be offputting all in all. 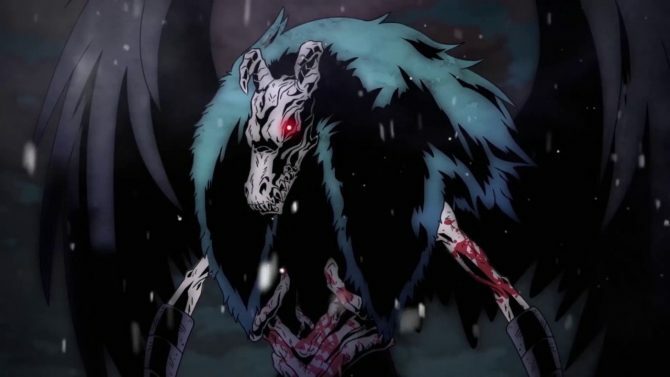 It excels in a lot of situations and would undoubtedly appeal to fans of the Dark Souls series, but for everything that Death’s Gambit does well it’s unforgiving nature can take away from the game as a whole.